If you need a rack to hold more than 10 Rods n Reels, Please email or phone us for a quote. 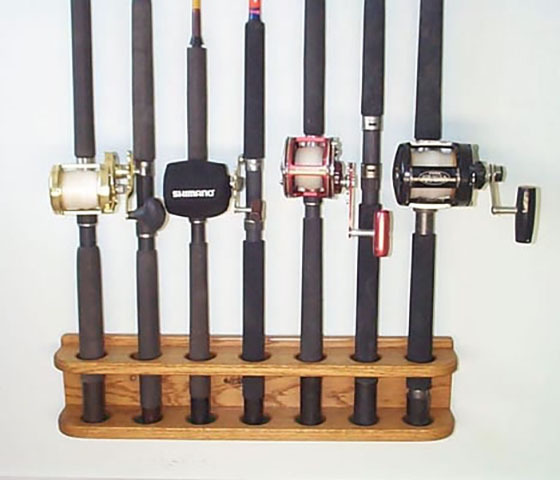 Need a Rack for more than 10 Rods , E-mail or call us for sizes and price. Our Racks are made per your order. Rod Racks can take 1 week to 10 days before shipment. You will receive an e-mail with the Tracking Number as soon as we ship your rack to you. If you order one of the racks without changing the spacing, you can return for a refund minus a 25% off the price of the rack. 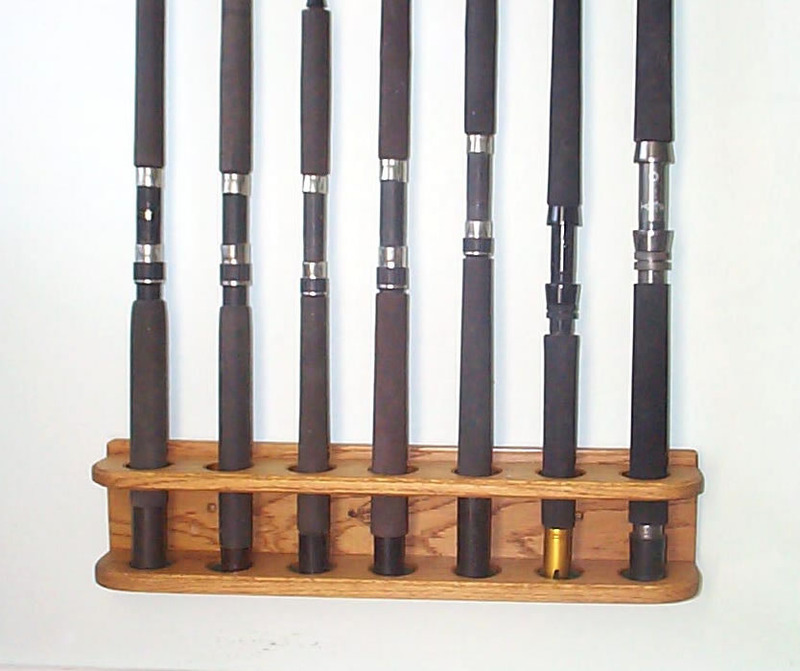 Custom Rod Racks to your spacing are not refundable. 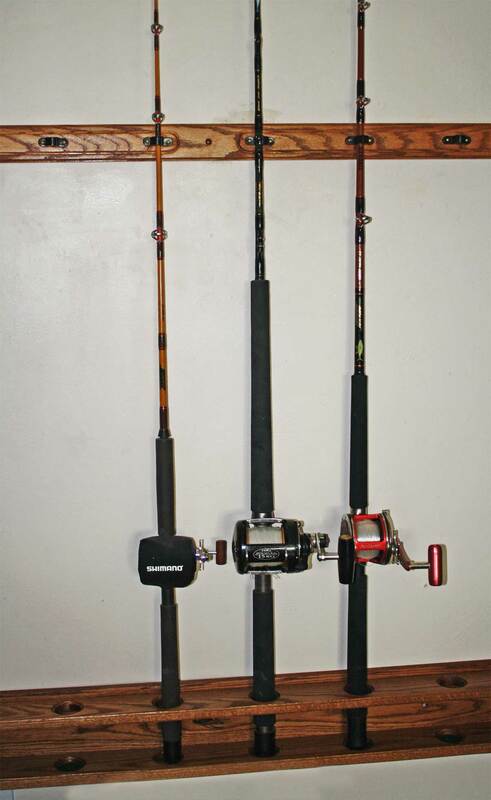 For RODS ONLY and/or randomly placed reels as shown. Solid Red Oak 3.5" Center - Center. If you need a rack larger than 10 Rods or spaced differently, Please email or call us. Copyright © 1997 Bajaedd.com dba thesundeckonline. All Rights Reserved.